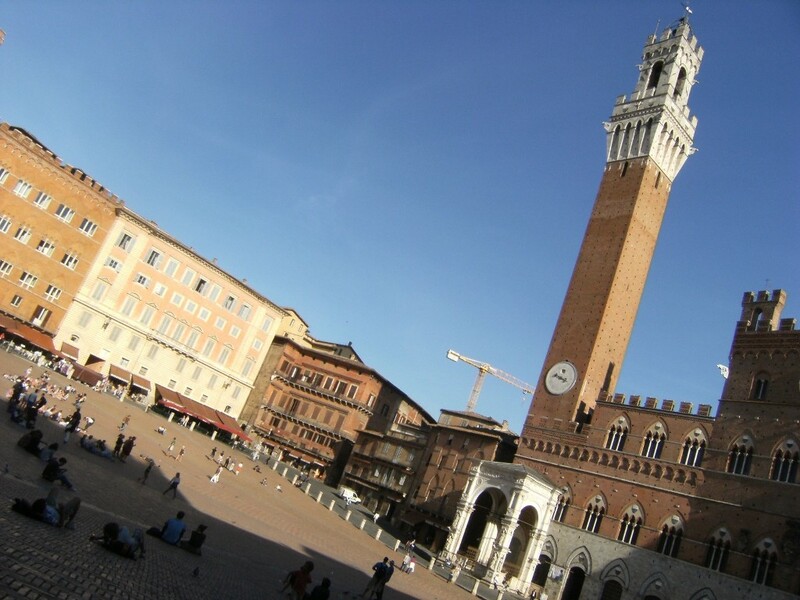 The main hangout in Siena, a slanted brick piazza where people like to recline on their backs and stare at the soaring Tower of Mangia. Don’t fall asleep like I did once. This policewoman kicked me out, but I came back later, no big deal. 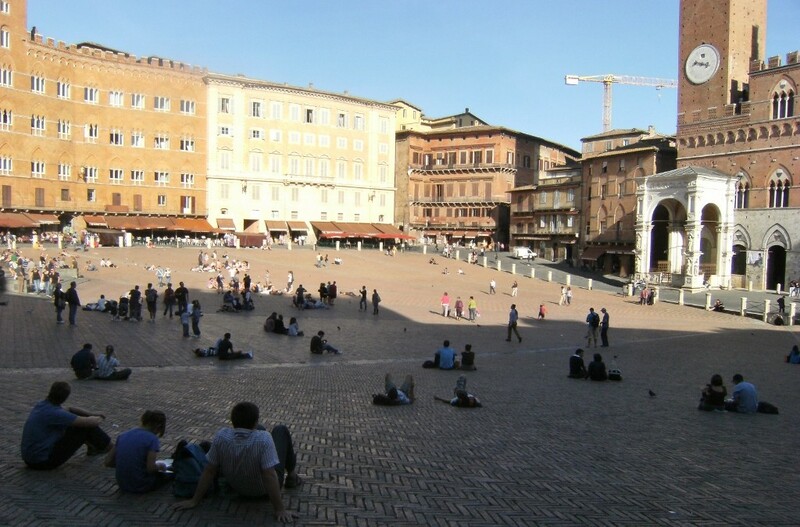 The famous Palio horse race is held each year here July 2 and August 16. 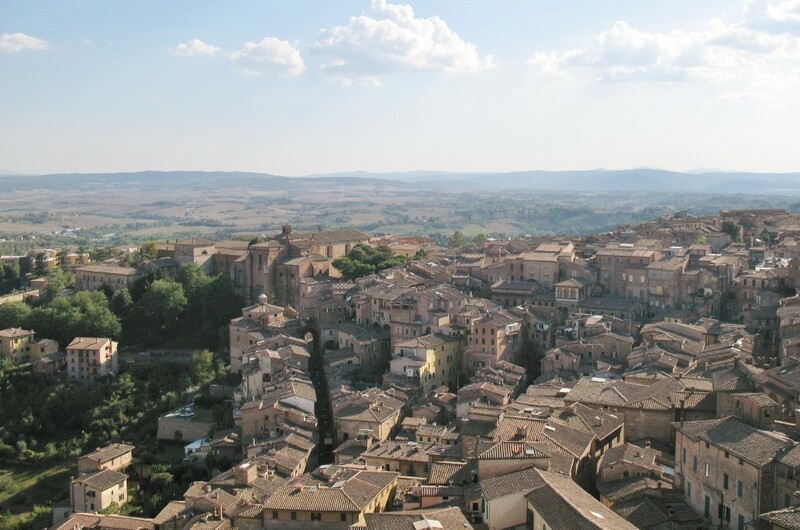 Rising up from the base of il Campo, you can climb to the top of this tower for a 360 view of Siena. Well worth the ticket. I wasn’t going to go inside this dark green and white striped cathedral until Meta convinced me it was worth the cost of admission. 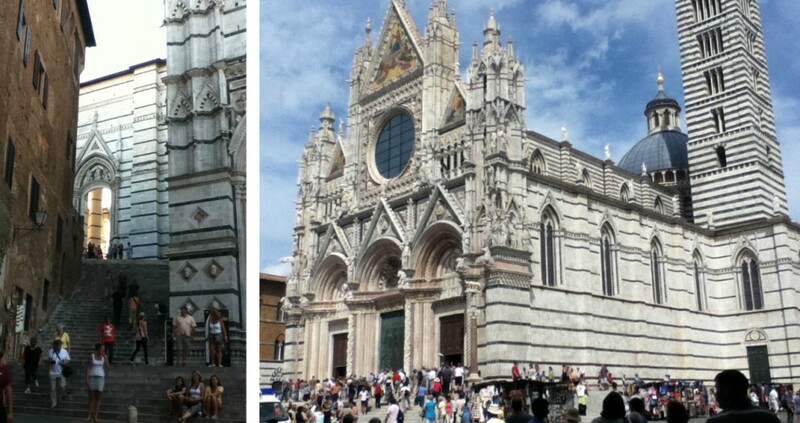 The shaded steps on the side of the church that lead into Piazza S. Giovanni are good for enjoying a pizza by the slice. 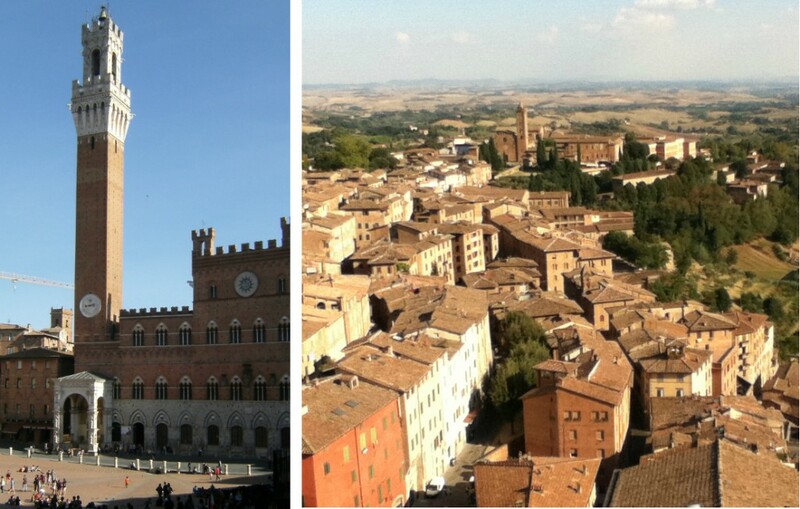 Siena’s divided into contrada, or districts, which compete against each other in the Palio horse race. 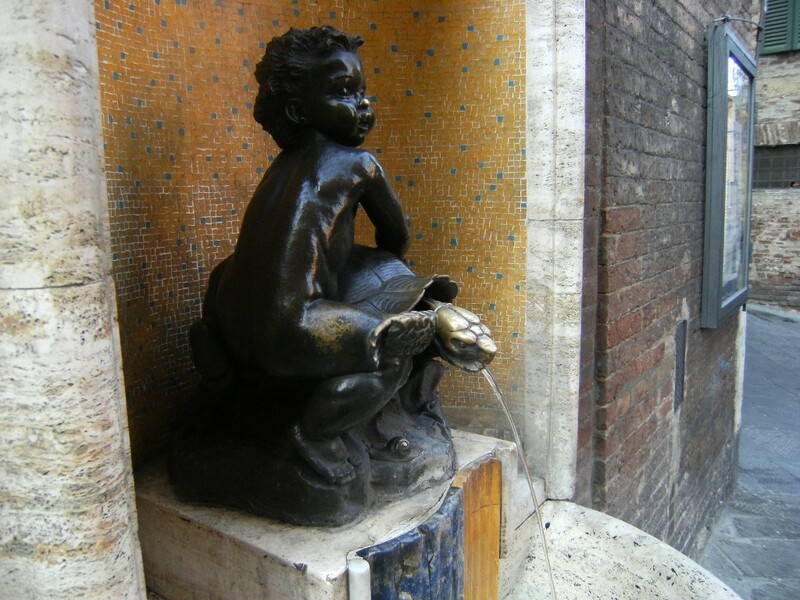 The Tartuca (tortoise) is the contrada where you find our language school and this fountain, which is not only a drinking fountain, but also an outdoor baptismal fount. There always seems to be school kids hanging out around this brick church. I wonder when they’re actually in class. 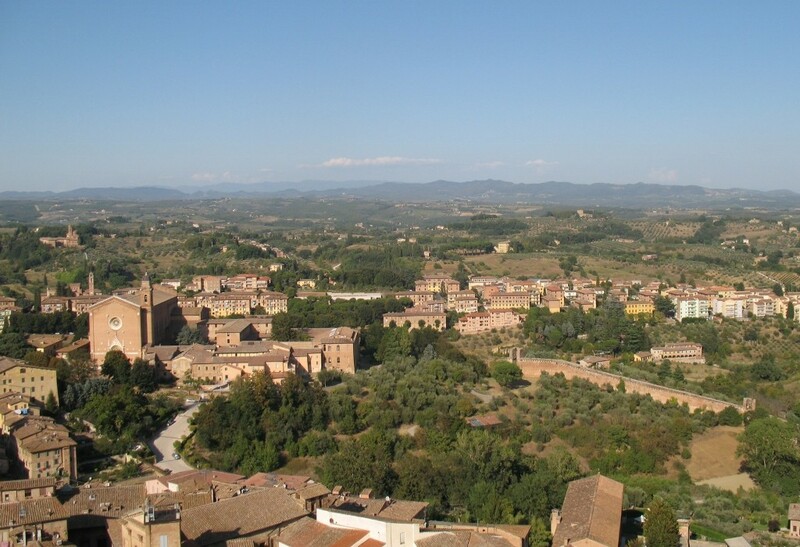 Around the back of the church are brick stairs that lead down to Fontebranda, a beautiful rectangular pool of water covered by an arched brick ceiling. Old fortress around which tour buses park and a market is held on Wednesdays. A park with horse statues and a pond with a couple of swans. I like to come here while I’m waiting for my bus back to Colle, since the station’s across the street. 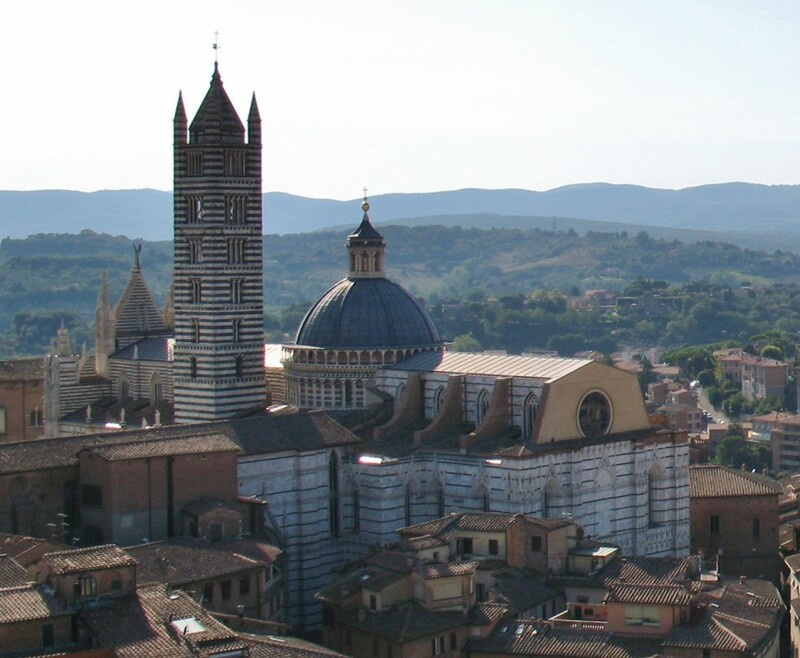 Catch a AC Siena match on their home field. 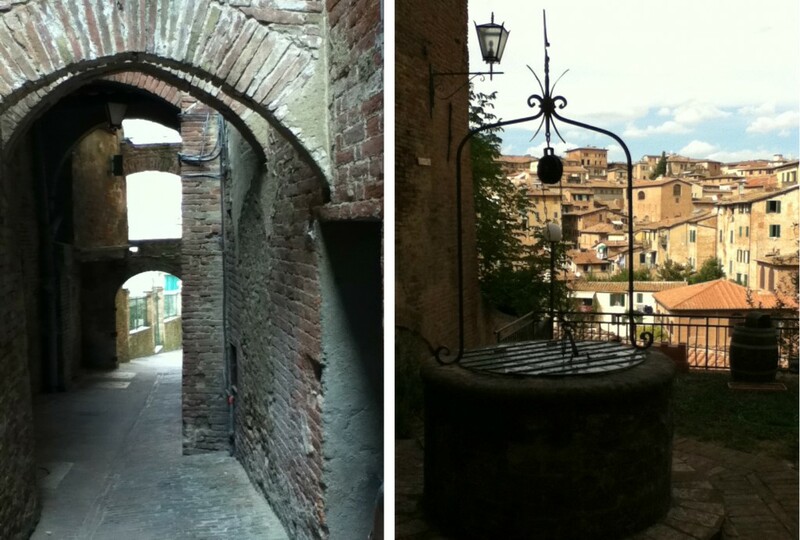 My favorite of Siena’s city gates are Porta Camollia and Porta all’Arco. 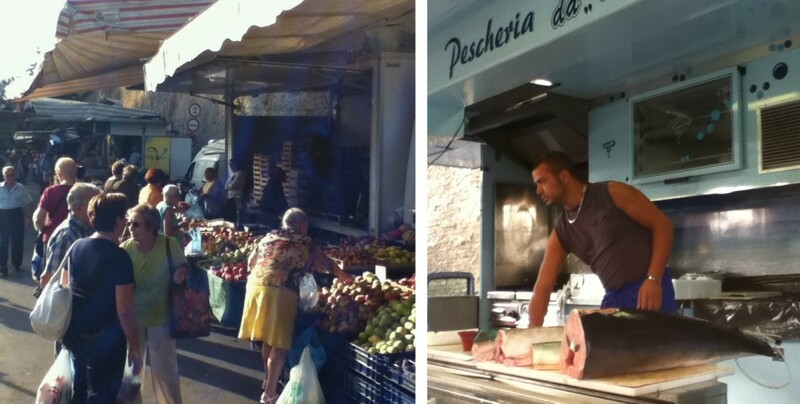 There’s a quiet little piazza by Porta Camollia, a grand arched entry adorned with sculptures. Near Porta all’Arco, you get a pretty view from the park area outside Sant’Agostino church.